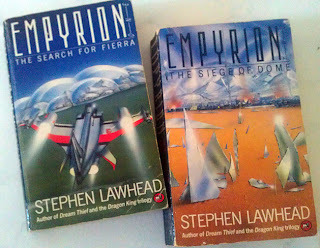 I received the first book 'The Search for Fierra' for my 17th birthday, and have read both these books a great many times since then. 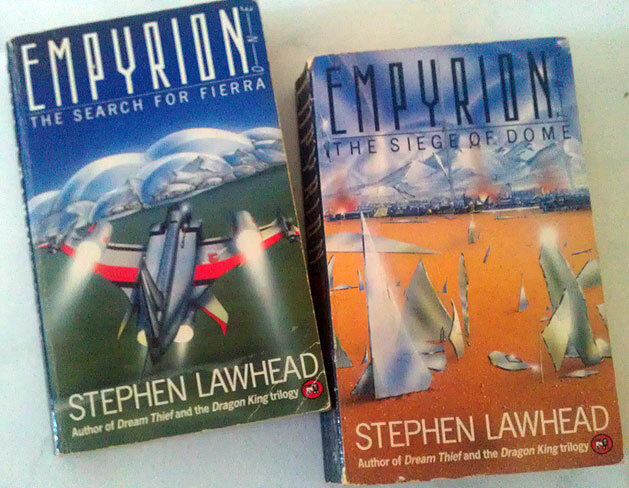 I would say the Empyrion Saga is a personal favourite which I will be reading again real soon. I received the first book 'The Search for Fierra' for my 17th birthday. I remember how disappointed I was when I got to the end of this book. The conclusion was so open-ended it was like the author has left it open for another book. This puzzled me as most of my current reading was single story volumes. This was before the current trend for authors to be contracted for multiple book story contracts. So, I read it a second time, not only because I liked it so much but I thought that maybe in my eagerness to read the story I may have missed some key point in the story which would finalise the ending. No, the story did wrap up but it was as if there was another book out there. I asked my father, who gave me the book if there was any followup books for this story only to receive a non-committal 'Maybe'. I read this book a third time later on that year, and kept asking my father to find out if a second novel existed. To my great pleasure I received 'The Siege of Dome' for Christmas that year, 7 months later. I re-read the first novel and then straight into the second. It was great! 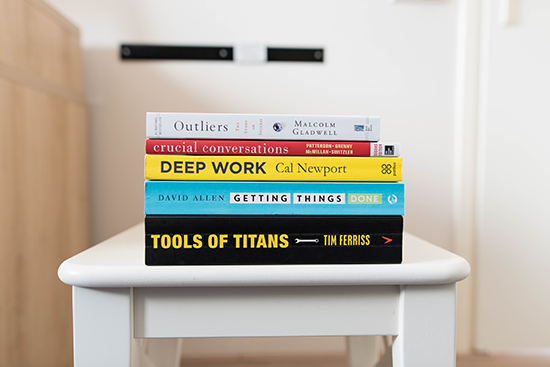 I re-read those 2 books many times over the next ten years and never got tired of them. I also started my collection of Lawhead's other novels, special mention goes to 'The Dream Thief', 'The Dragon King Trilogy', 'The Song of Albion' and my last purchase was 'Mystic Rose' to finish 'The Celtic Crusades'. I particularly remember looking forward to each new installment of "The Song of Albion' novels. I had a casual job of delivering cars from one city to another at this time and can remember going out of my way to visit a particular bookshop in Sydney, every time the job took me there, to check if any Lawhead books had been released. Not only did I purchase them in first edition Hardback, I re-read the preceding books in the series before reading my new purchase, so by the time 'The Endless Knot' came out I was getting a bit tired of the original book. However there is a scene which involved a meal that ended in coffee and oranges, which I loved the most and still to this day will get craving for oranges when I drink coffee after a particularly 'social' meal. 'The Celtic Crusades' was the last Lawhead book/series I read and that was about 10 years ago, I haven't read any of the recently released novels yet but have re-read the 2 Empyrion novels in that time. As much as I like Lawhead as a writer I preferred his sci-fi, so maybe I will look into his new series 'Bright Empires'. Thanks Dad, for introducing me to Stephen Lawhead, but did you have to string me along and keep me in suspense for 7 months with the shoulder shrug and non-committal, 'Maybe' to all my questions about getting the second book? Yes, that's the way my Dad is and I see myself doing the same thing to my boys as well. What about you? 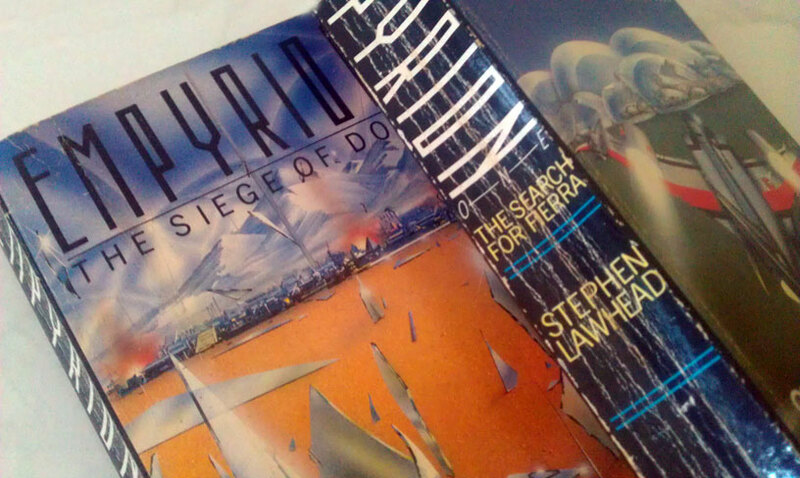 Have you read any of Stephen Lawhead's work? If so what was your favourite novel?